Product prices and availability are accurate as of 2019-04-09 22:58:52 EDT and are subject to change. Any price and availability information displayed on http://www.amazon.com/ at the time of purchase will apply to the purchase of this product. 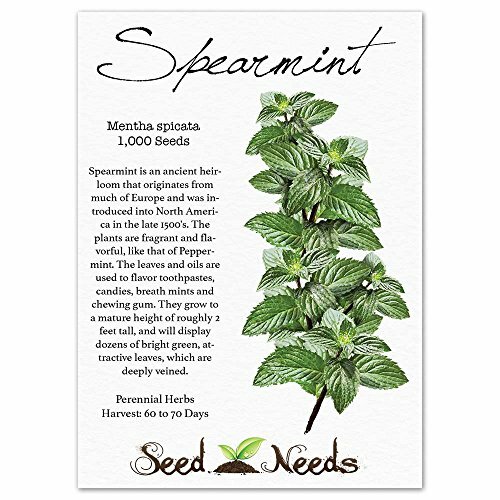 Grow a garden filled with the aromatic Spearmint herb, from freshly harvested Mentha spicata herb seeds. 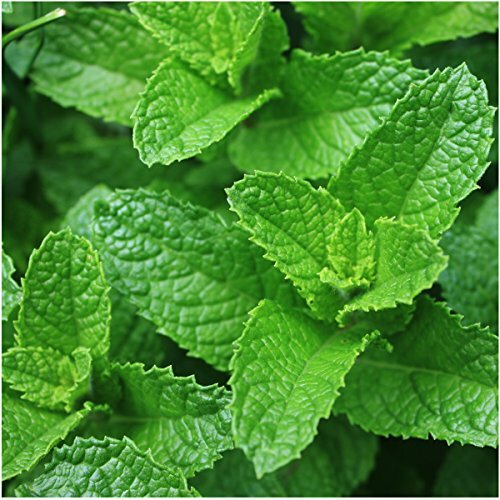 Spearmint is an ancient heirloom that originates from much of Europe. These herbs were introduced into North America in the late 1500's. The plants are fragrant and flavorful, like that of Peppermint. The leaves and oils are used to flavor toothpastes, candies, breath mints and most of all, chewing gum! Growing to a mature height of roughly 2 feet tall, Spearmint will display dozens of bright green, attractive leaves, which are deeply veined. The flowers are pink to purple in color and bloom through the summer months. 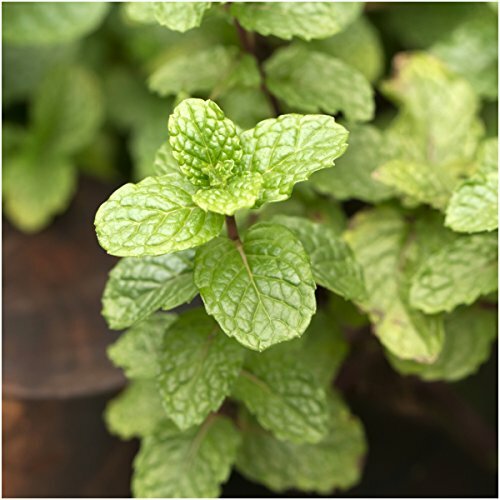 Spearmint is categorized as a perennial flowering herb. Perennials will establish a deep root system in their initial year of growth. They then use this root system to return the following Spring season, even after all plant life has wilted on the surface. Mints, such as Spearmint, are known to be rather invasive at times, spreading through underground roots and runners. This leads most herb gardeners to placing it in pots and containers to otherwise contain it's growth. The seeds can drop to the bare ground beneath, often times establishing new plant life around it's already established parents. 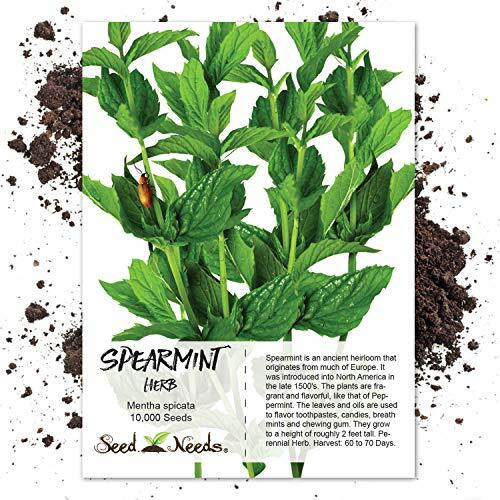 Quality Spearmint seeds packaged by Seed Needs. Intended for the current and the following growing season. Packets are 3.25" wide by 4.50" tall and come with a full colored illustration on the front side, as well as detailed sowing instructions on the reverse. Spearmint is an ancient heirloom that originates from much of Europe. These herbs were introduced into North America in the late 1500's. The plants are fragrant and flavorful, like that of Peppermint. The leaves and oils are used to flavor toothpastes, candies, breath mints and most of all, chewing gum! Growing to a mature height of roughly 2 feet tall, Spearmint will display dozens of bright green, attractive leaves, which are deeply veined. The flowers are pink to purple in color and bloom through the summer months. 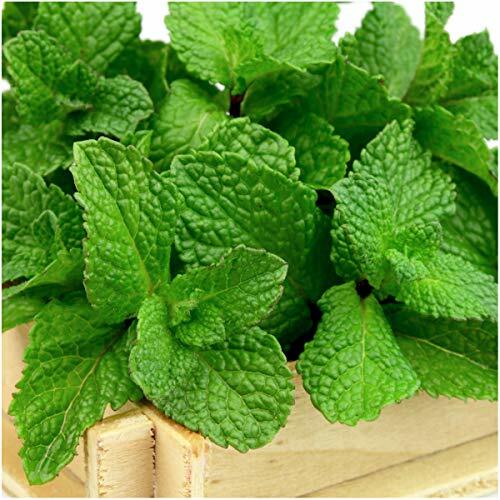 Spearmint is categorized as a perennial flowering herb. Perennials will establish a deep root system in their initial year of growth. They then use this root system to return the following Spring season, even after all plant life has wilted on the surface. 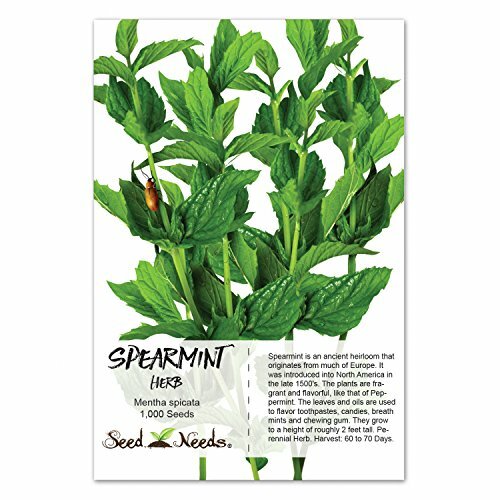 All Spearmint seeds sold by Seed Needs are Non-GMO based seed products and are intended for the current & the following growing season. All seeds are produced from open pollinated plants, stored in a temperature controlled facility and constantly moved out due to popularity.